Lock in a great price for Kimpton Onyx Hotel – rated 8.5 by recent guests! Location was prime- went to see a concert at TD Garden and it was close to some other activities we had planned so we didn’t have to drive. When we did the valet guys were nice, fun to chat with and quick at retrieving our car. The overall cleanliness of the hotel was poor. The bed mattress was broken down and uncomfortable. 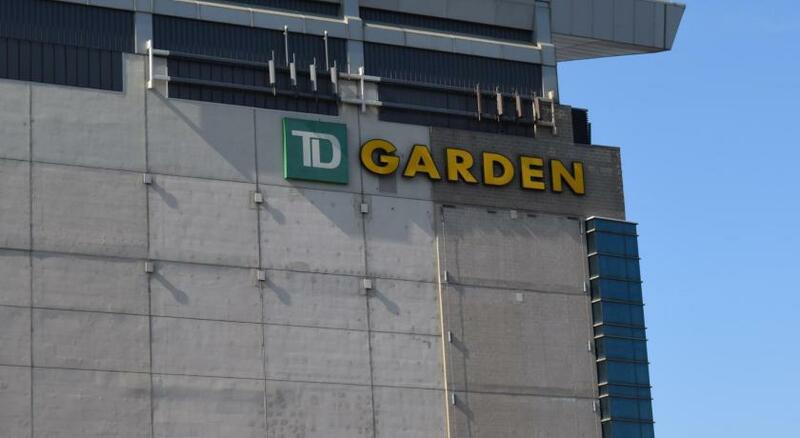 Location is perfect if you want to visit the TD Garden. It's also a short walk to downtown and the North End. 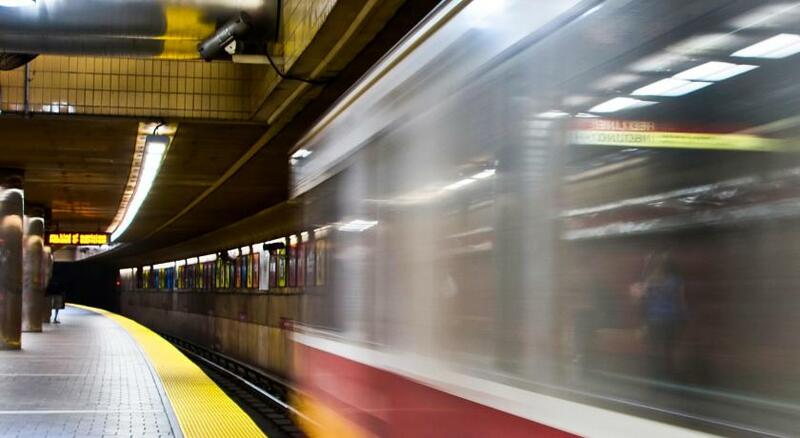 The convenience of it's location to the TD garden. And good restaurants nearby. It was crowded for us so we didn't get breakfast there, which was fine. The location. It’s close to everything. Decor is nice. The location was great. The reception person who checked us in was very welcoming. Hotel was nice. Great that it was near TD Garden. Great that you have room service for food. Great you have free coffee. It’s beautiful! LOVE the pillows. The complementary wine What a great place! Kimpton Onyx Hotel This rating is a reflection of how the property compares to the industry standard when it comes to price, facilities and services available. It's based on a self-evaluation by the property. Use this rating to help choose your stay! 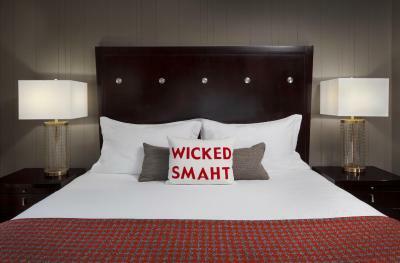 This Boston luxury hotel is located in the Italian North End district, offers in-room spa services and is eco-friendly. It features a 24-hour gym and morning coffee and tea service. Rooms include a mini-bar with gourmet and organic options. 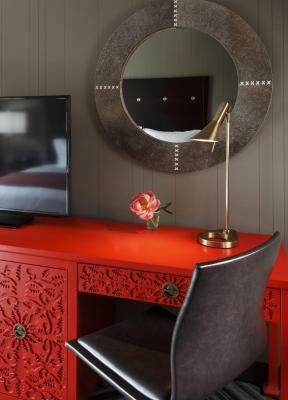 The Kimpton Onyx Hotel provides guest rooms with iPod docking stations and flat-screen TVs. 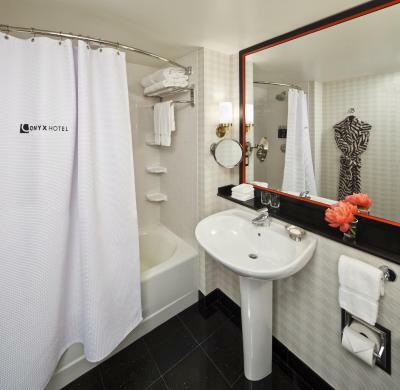 Deluxe linens and bathroom amenities are available in every room as well. The Ruby Room lounge located in the Kimpton Onyx Hotel, serves a European-Style breakfast buffet, dinner and drinks are available as well. The hotel also offers an evening wine reception in the lobby. 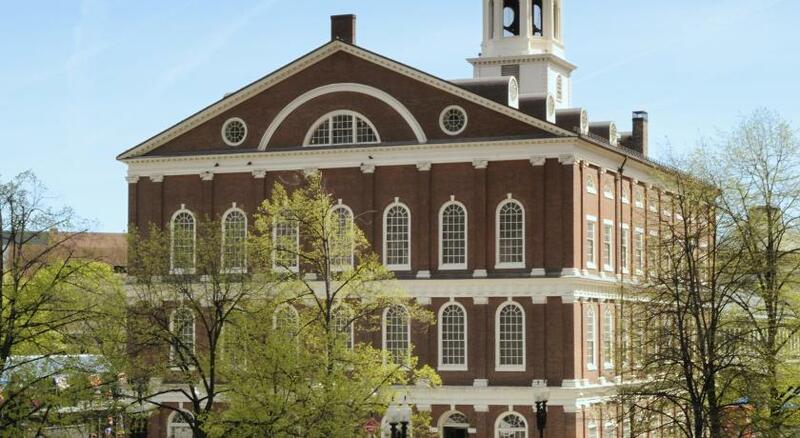 TD Garden sports arena, home to the Boston Bruins, Boston Celtics and the Boston Blazers, is less than a 5-minute walk away. Kimpton Onyx Hotel is steps from the North Train Station. West End is a great choice for travelers interested in history, restaurants and food. When would you like to stay at Kimpton Onyx Hotel? 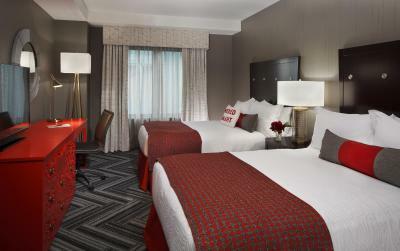 This room features a 37-inch flat-screen TV, an iPod clock radio and a fully-stocked honor bar with gourmet treats. Luxury toiletries and animal print bathrobes are also included. This accessible room features a desk and minibar. This room has an accessible tub with grab bars and a handheld shower head. Room is on the Penthouse Level and features a minibar. This double room features a iPod dock, bathrobe and mini-bar. Intimate, personable, and charming with every modern amenity! 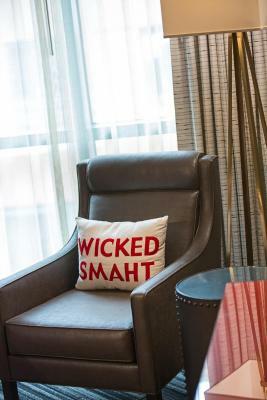 Enjoy warm, attentive service in a boutique luxury setting all highlighted by signature Kimpton hospitality. Hotel surroundings – This neighborhood is a great choice for travelers interested in history, restaurants and food – Check location Excellent location – show map Guests loved walking around the neighborhood! House Rules Kimpton Onyx Hotel takes special requests – add in the next step! Kimpton Onyx Hotel accepts these cards and reserves the right to temporarily hold an amount prior to arrival. For what we paid we were really unimpressed. The mini fridge and a drawer were stocked with snacks, all of which were horribly overpriced. I’m still afraid they’re going to charge me for some decorative pillows that weren’t in the room when we got there. The staff was aloof but friendly when you spoke to them. Is it normal practice to slip the bill under the door on the day of checkout? That seemed out of place. One of the beds had a broken spring. I guess all I paid for was the location, since I’ve stayed in lower star hotels that do more and feel nicer. The closest green area for the dogs to use were a distance away and we were unaware of the walk we would have to go on to get the dogs to the bathroom. Also the member on at the time didn't have the greatest directions on where to go for this, luckily Google maps shows green areas [grass] and the walk mode got us to some including a hidden one closer then the rest... Maybe behind the building they could take down the falling building and make a green area for the pets who stay? Still reccomended place to stay if your foreign to the area research it so you have better ideas where to go. Staff was great with our two Dobermans! The planning for full capacity due to being St Patrick's day weekend and having a double header on Saturday, with the Celtics and the Bruins. We returned, late in the afternoon, having ben gone all day, and our room hadn't been attended to. Normally that wouldn't be a concern, but we needed some bathroom items along with a cleaning of the bathroom. Planning for more staff may have been better but working in the retail business myself, being short staffed many times, I can somewhat understand, but this was a weekend that was forecasted far in advance. Regardless, we love the hotel and the staff is always pleasant, helpful and accommodating. In general, everyone there does a great job and we appreciate that. I paid for 4 nights and stayed two nights due to an emergency. They said they would return the funds and have yet to receive them. For the price room was small. There was no coffee in room or continental breakfast. Had to pay for parking. Valet did not meet us on our arrival and there was no street parking. I didn't realize that on top of the Booking.com fee, I would also have to pay the taxes and hotel service fees at the hotel, so it ended up costing more than I anticipated. The room was in the small side.